Our experienced professional painters at our Sudbury/North Bay location provide painting services that will exceed your expectations. Regardless if the project is big or small, we provide quality results every time. Our EverLine Coatings and Services North Bay/ Sudbury location is able to offer the industry’s best commercial and industrial building painting solutions in the region. From a fresh coat of paint in your office to repainting an entire commercial building, no job is too big or too small. We are ready to handle any of your painting needs. Our professional painting crews approach every job the same way. They strive for professionalism and precision in their work make your property look great every time. We have the needed equipment to handle both interior and exterior painting jobs for our clients. Our Sudbury/North Bay EverLine location is proud to employ some of the best painters in the region with unmatched training and experience. Regardless of how big or small your painting project may seem, our crews have seen and done it all before. We are ready to help you with all of your commercial painting needs. Why choose EverLine Coatings and Services over our competitors? 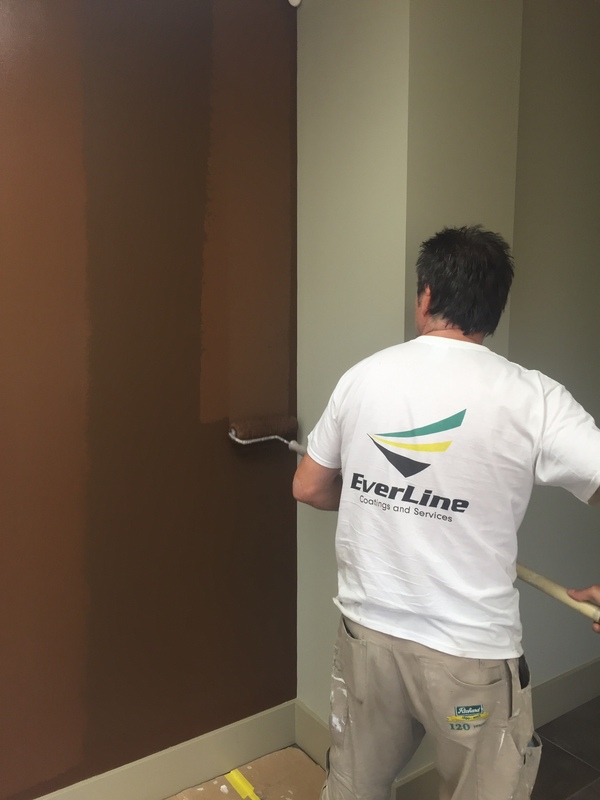 When you choose EverLine for your commercial painting projects, you get the EverLine advantage. We are one of the largest purchasers of paint and supplies in the country. We purchase our supplies in bulk at a discounted rate to cut down on our costs and extend the savings to our customers. In addition to our ability to save our clients a lot of money in product costs, we have some of the best trained crews in the industry using top of the line equipment. When you choose EverLine to repaint your property, you will know you’ve selected the right team for the job. We always aim for perfect results, completed on time with no mess left behind. At EverLine Coatings and Services, we are the commercial painting experts. We are able to back up this claim with the many happy customers that we have been serving for decades. We employ crews of staff that specialize in painting commercial and industrial buildings. Our staff are great to work with, we use top notch equipment and we communicate with our customers to ensure we get the job done the way they want it to be done. When our crew arrives to complete a project, you can be sure that you’ve picked the right crew for the job. If you are going to be receiving services from EverLine in the near future, there are a few steps we ask you to take in preparation. Put up signage indicating that there is wet paint. If you require help with any of the steps involved with preparation, please inquire about out cleaning, sweeping and other services. If anyone walks or bumps into the wet paint, the work we have completed will be ruined. The completion of these steps ensures the safety of our crew and that they are able to complete the work without any interruptions. Delivering value is of the utmost importance to EverLine Coatings and Services and this is why we operate on a per job pricing format. Each job is very different and in order to deliver your business the most value we must know the details of your project before quoting a price. We have experience working within a wide variety of budgets and can work with your business to deliver the services you need within your budget. If you require a quote on a commercial or industrial painting project please contact us.